AmCham Taipei looks back with pride on the important role it played in the creation of that legislation. For four decades, the Taiwan Relations Act has been crucial to safeguarding the security and economic interests of Taiwan and the U.S. in one of the most strategic regions of the world. The act represents the strong relationship, shared values and trust between the Taiwanese and American people. It has helped preserve peace, promote freedom and bring prosperity to both sides. The act has special significance for the American Chamber of Commerce in Taipei because the organization played a key role in drafting the legislation. It’s one of the best examples of how the Chamber works for the greater good of both countries. 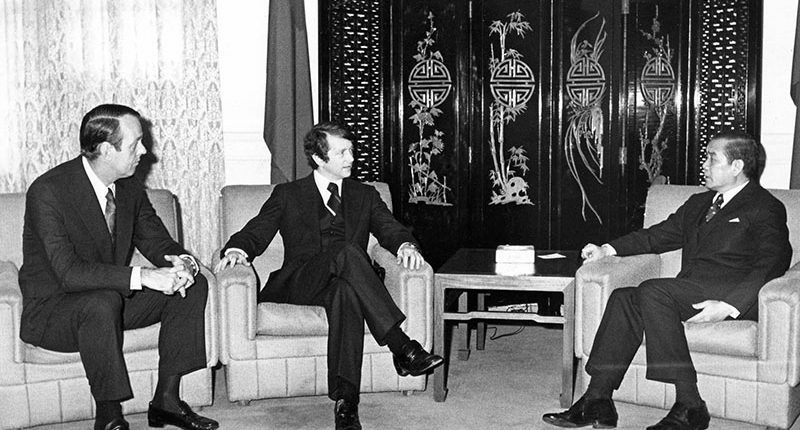 On December 15, 1978, President Jimmy Carter announced the U.S. decision to sever diplomatic relations with Taiwan in order to recognize the PRC. What kind of relationship the United States would maintain with Taiwan thereafter was unclear. The U.S. Embassy in Taipei would have to close within a few months. What, if anything, would replace it? Washington gave the prescribed one-year notice that it would terminate the U.S.-Taiwan mutual defense treaty. Would the United States continue to play a role in safeguarding Taiwan’s security? Accompanied by U.S. 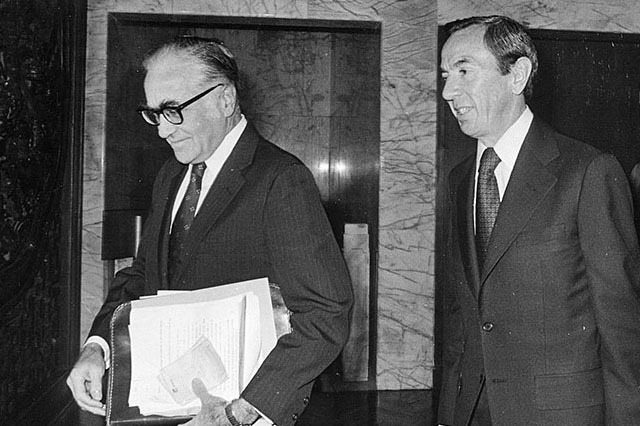 Ambassador to the ROC Leonard Unger (left,) Deputy Secretary of State Warren Christopher (center) calls on Taiwan officials following President Carter’s announcement of derecognition. The Taiwan Relations Act is legislation passed by the U.S. Congress to authorize the “continuation of commercial, cultural, and other relations between the people of the United States and the people on Taiwan.” The law called for creation of the American Institute in Taiwan to represent U.S. interests in the absence of formal diplomatic relations. It also reaffirmed the U.S. government’s stake in maintaining peace and stability in the region, created a legal basis for the U.S. to provide Taiwan with arms of a defensive character, and requires the U.S. to maintain the military capacity to respond to threats to Taiwan’s security. The TRA was enacted by Congress in March 1979 and signed into law by President Carter on April 10, 1979 and was deemed as having taken effect as of January 1, 1979. 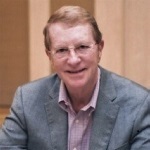 Under the leadership of Chairman Robert Parker and former Chairman Marinus “Dutch” Van Gessel, AmCham expressed its dissatisfaction with the vague language in a bill the Carter administration sent to Congress to define the new relationship with Taiwan. Testifying before the Senate Foreign Relations Committee and House Foreign Affairs Committee, AmCham leaders helped gained bipartisan backing for stronger U.S. support for Taiwan. Many of the recommendations in their testimony were adopted in the drafting of the TRA. At the same time, AmCham stepped in to ensure that the various U.S. community institutions in Taiwan that had been tied to the military presence could continue to operate smoothly in the new environment. Committees were formed to work out arrangements with the Taiwan government to enable the Taipei American School, American Club, and youth organizations such as the Boy Scouts and Girl Scouts to continue to function. With AmCham’s assistance, the U.S. military-run radio station was converted to a private operation with special permission to broadcast in English. Over succeeding decades, AmCham members have consistently looked back on this period as the Chamber’s finest hour. In 2000, President Lee Teng-hui presented Robert Parker with the Order of the Brilliant Star in recognition of his contribution. Dutch van Gessel (left) and Robert Parker (center) from AmCham meet with Premier Y.S. Sun on problems posed by the change in the U.S.-Taiwan relationship. HOW DOES THE TRA IMPACT TAIWAN’S SECURITY? The U.S. commits to making military equipment available to Taiwan sufficient to maintain a self-defense capability. The President is directed to inform Congress promptly of any threat to Taiwan’s security or social or economic system, after which the U.S. will determine an appropriate response in accordance with constitutional processes. WHAT ARE THE OTHER KEY PROVISIONS OF THE TRA? The American Institute in Taiwan is authorized to conduct “programs, transactions, and other relations” with Taiwan on behalf of the U.S. government, as well as to provide consular services to U.S. citizens in Taiwan. The U.S. agrees to accept a similar “instrumentality” established by Taiwan to represent its interests in the United States. [That Taiwan counterpart to AIT is the Taipei Economic and Cultural Representative Office]. Despite the lack of diplomatic relations, it is specified that Taiwan will continue to be treated the same as any other foreign country under the laws of the United States. All existing agreements between the U.S. and Taiwan remain in force unless terminated in accordance with law. U.S. President Nixon visits China and signs Shanghai Communique. President Carter announces that U.S. will terminate diplomatic relations with the ROC on Jan. 1, 1979. AmCham Chairman Robert Parker testifies before Congressional committees on need for continued U.S. security commitment to Taiwan. U.S. Embassy closes, to be succeeded by American Institute in Taiwan. Taiwan opens Washington office of Coordination Council for North American Affairs. Taiwan Relations Act becomes law, forming basis for substantive but unofficial relations between U.S. and Taiwan. 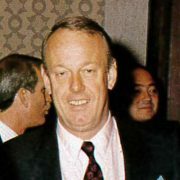 Marinus (Dutch) van GesselAmCham chairman in 1976-1977 and 1980.